I am [practicing problem-solving] building roller coasters. Learning looks different at Live Oak Preschool. We believe in teaching through play and experimentation, by doing. 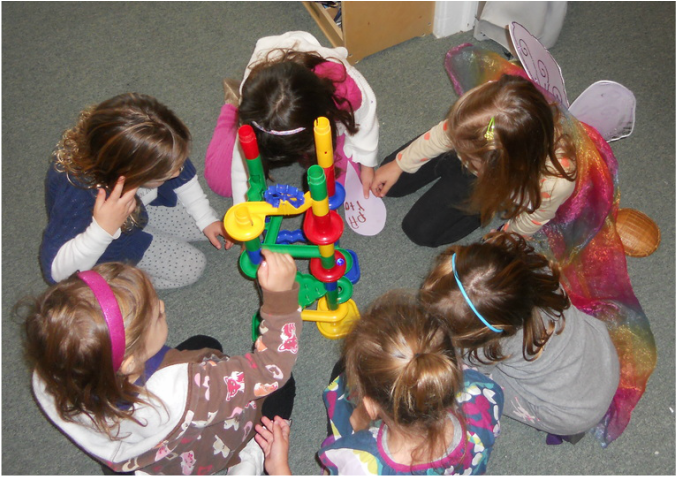 Children enjoy self-directed experiences and challenges enhanced by teacher provocations that help students attain all the skills necessary for Kindergarten and beyond. In the classroom, our goals are to develop a child's self-respect, self-confidence, and independence in a creative and supportive environment. We respect each child as an individual with a unique pace of learning and growth. We acknowledge that children are strongly influenced throughout their lives by early life experiences. We strive to incorporate the natural, outside world into their daily life to cultivate an appreciation for all living creatures and the world around them. We feel it is important to instill a love of learning in all children who enter our doors.